Can you really save money at Walt Disney World? You bet! It’s more than possible to save money at Walt Disney World. You’ll get the most bang for your buck by minimizing your lodging and meal costs. Just don’t trim so much fat that you’re unhappy with your vacation. It will be moderately expensive either way, so make sure every dollar you spend really counts. Mousesavers.com offers expert advice on Disney deals, from annual pass saving codes to free experiences found throughout the parks. They can point you to the best of the best resources too. Count on them for the latest discount codes and websites offering sweet specials to help you save money at Walt Disney World. Most importantly, they’ll offer you advice on keeping your investments safe. 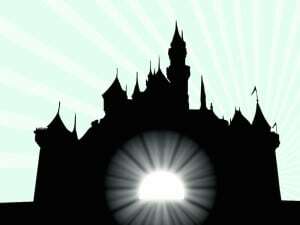 More than 17 million people visit Disney each year, a fact Florida con artists haven’t ignored. Fake tickets abound online, as do certificates for lodging, transportation, even full-fledged vacation packages. Make certain you’re giving your money to a bonafide business and not a scammer. Lower-cost packages are available through AAA and online booking sites like Expedia too. Unfortunately, packages always trade a bit of savings for convenience. There are one or two vendors who sell discounted Disney World tickets, but they only offer a small savings. Don’t expect to shave more than 10 percent off regular rates. Anyone offering you big discounts – especially free tickets – is a scam artist or a business selling you a ticket in exchange for a different kind of investment. For instance, the Orlando area is flooded with timeshares. You can often get a free ticket for attending one of their seminars. What you don’t know is how seedy these companies can be. Presentations may be held in remote locations. Salespeople can be demanding or rude. You may even be told they are out of tickets at the end of the day. For many reasons, it’s best to skip free tickets for your vacation. Finally, annual passes make sense for people who will visit several times a year. These are only sold at Disney World. As with every legitimate ticket, they are linked to you through your fingerprint. There’s no way of sharing or buying the remaining value of a ticket used by someone else. If you’ve heard of the “Disney Bubble,” it refers to the pure joy some people experience at Disney World. It almost feels like they’ve been transported to another world. They experience less stress, extreme happiness, and all around have more fun than they’ve had on other vacations because of this magical feeling. Many Disney regulars swear this comes down to staying on Disney property during your entire trip. Unfortunately, this gets expensive fast. You can book a room through Disney’s website or reservation line and use several codes for savings. Some are worth 35 percent off the regular price. This gives you the security of dealing directly with Disney while still getting a deal. Register at their reservation site with your email address to receive periodic offers. You can also order a vacation DVD to get offers by mail. You can also rent points through the Disney Vacation Club to save money at Walt Disney World. The resort’s timeshare system includes the choicest rooms available at every luxury resort onsite. You can rent DVC points through individuals – though you should always ask for references first – or you can rent them through professional point brokers. Renting DVC points makes it possible to shave thousands of dollars off the cost of your stay. Disney World has a dining plan, but most people find it complicated and expensive. It only really pays off when included free as part of a larger package. Instead, research your dining options ahead of time with help from sites like AllEars.net. Pick and choose a few special dining locations to check out during your trip, and then supply your own food for the remainder. You can pack groceries or have them delivered from an online site or a local grocery store. Eating in your room will result in tremendous savings. It will also encourage you to take a break during the day – one of the most important tips for truly enjoying your trip for all its worth. We hope these tips on how to save money at Walt Disney World will help you stretch your budget farther than ever before. However, if you run into the need for additional funds, Title Tree is always here to help you. Visit your nearest Title Tree store for more tips on creating a magical Disney vacation for less.